Not only is today Good Friday and the start of the long Easter weekend - No work until Tuesday! But, it is also the start of the new 2012/2013 Tax Year. 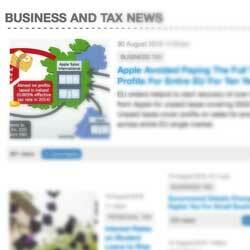 New Tax Year 2012/2013 - What does this mean for me? Well, we reported in January that tax coding notices for 2012/13 were being posted between then (January) and March. These tax codes are to be used when calculating the amount of tax to deduct from your payslip by your employer. What will my tax free allowance be? Last year the basic tax code / emergency tax code was 747L - equivalent to a personal allowance of £7,475. For the new 2012/13 tax year, the under 65's tax free allowance is £8,105 - equivalent to a basic tax code of 810L. Can I check how much I'm going to be taxed? Yes, you can. It is important to make sure the tax code you have is correct, otherwise you risk having either too much or too little tax deducted. 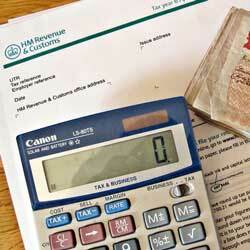 You can use the following tax calculator to check your tax right now! Just add your gross income and hit calculate. The result page will open, from where you can adjust your tax code and other options such as pensions, childcare vouchers and more. I have more than one income source, what about me? What about tax credits, child benefit? Try the budget calculator to create a personal budget plan, this is based upon figures for the 2012/13 tax year and takes into account information revealed in the 2012 UK Budget. You can enter your household income, expenses, and the planner will calculate taxes, tax credits and child benefit. It will also provide handy information about your expenses and compare them with other people with similar lifestyles and incomes to yourself.